Data collection has been reopened until March 20. Don't miss out on entering your data. Read these seven reasons why you need to participate today. 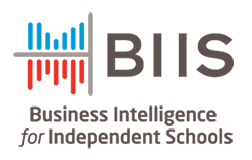 Business Intelligence for Independent Schools (BIIS) is NBOA's signature data-collection tool. It combines data from nearly every previous NBOA research effort to provide independent schools with a comprehensive look at their financial health, sustainability and staffing compared to similar schools in a national data set. 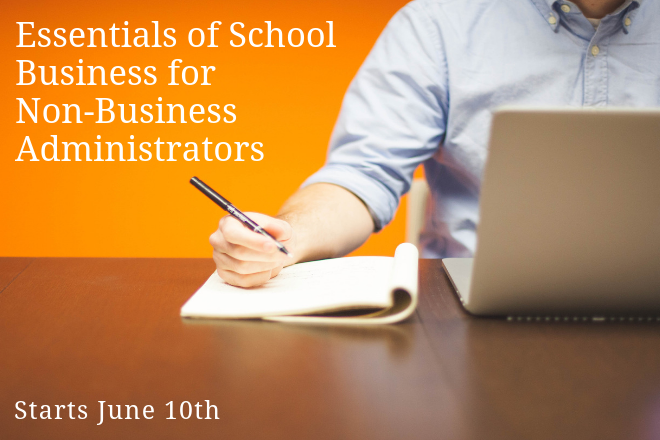 Exclusively for NBOA members, BIIS was designed by business officers, for business officers to analyze a wide range of operational and compensation data and distill it into accurate and meaningful graphs schools can use to set benchmarks and make important decisions. 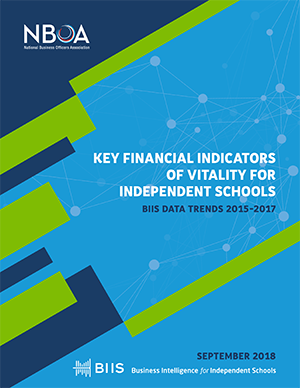 This report, created from an analysis of 2015-2017 trend data from the largest schools in NBOA's Business Intelligence for Independent Schools (BIIS) data collection platform, explores key financial indicators of independent school sustainability and the underlying data points that support them. Case studies of four high-performing schools also provide insights into how they achieved their top performance. This document outlines the reporting tools in BIIS, including how to create peer groups, export data, and provide access to others from your school. Need Help with Data Submission? This document walks you through how to log in to BIIS, enter your data and allow access to others from your school.